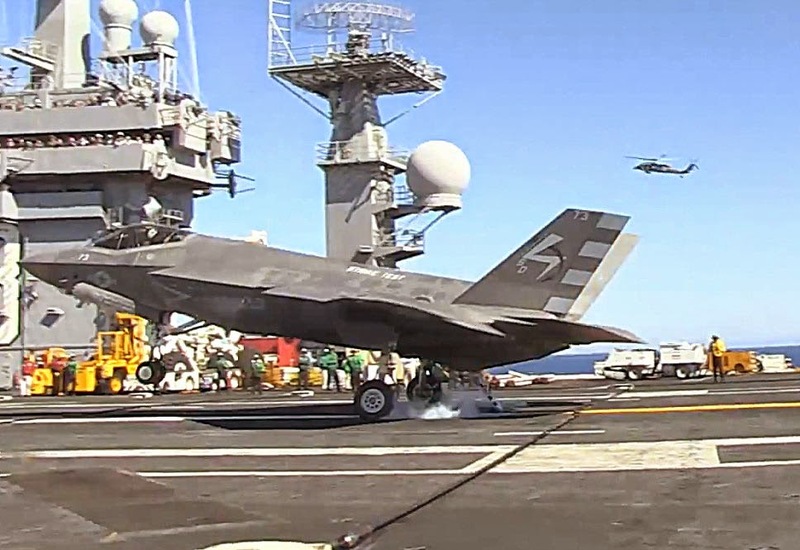 U.S. Navy ‘Non-Receptive’ to the F-35? 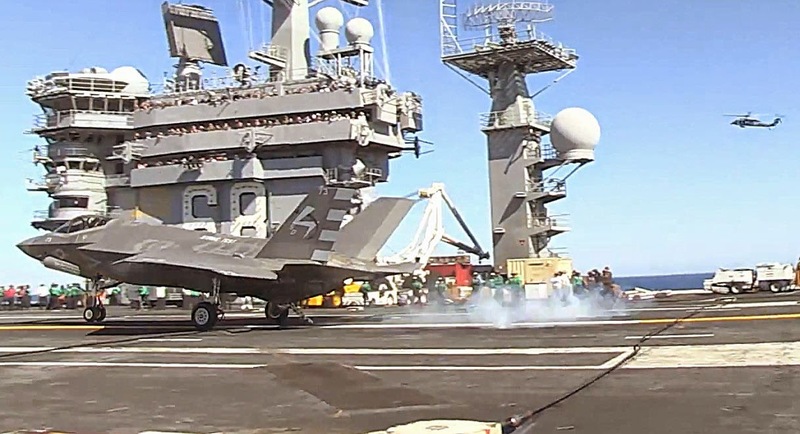 Where did the idea that the “Navy” has been less than enthusiastic about the F-35C come from? I think I know, and can trace it back two or so years to a single statement made by the incoming CNO in an article for the USNI ‘Proceedings’. That single article gave such hope to the anti-JSF crowd that it gained far more audience and credence that it would have ever otherwise received, certainly more than it ever deserved. 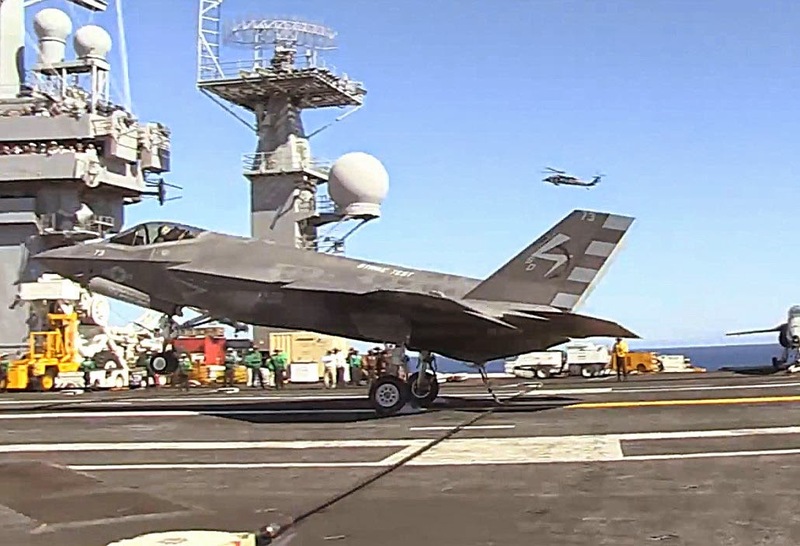 Today, with the successful-to-date F-35 sea trials of the CF-3 and CF-5 aircraft operating off the USS Nimitz these past two weeks, the story has become one of a ‘surprising’ reversal of opinion (or beginnings thereof) by the Navy—at least as far as the media would lead us to believe. I submit, that to the contrary it can be shown that what Navy enthusiasm there is for the F-35C is probably pretty much what it has always been, with perhaps a few more opinions among Wizened within the competing NAVAIR tribes lately changed for the better. 1. 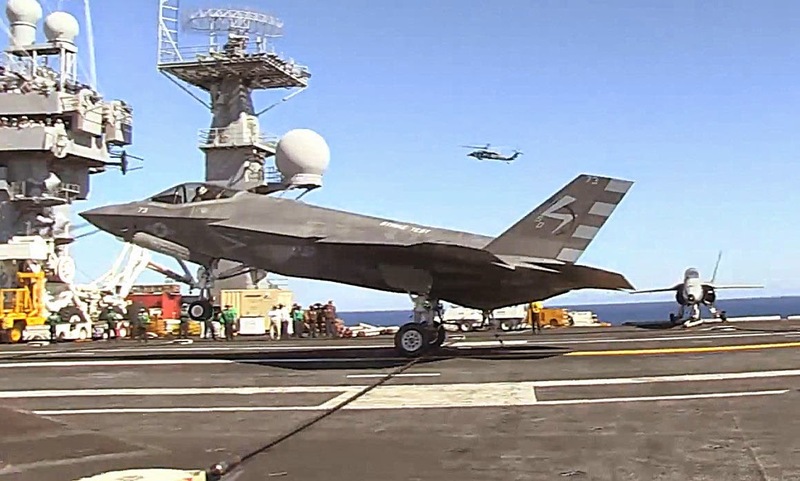 …The Navy has been much less enthusiastic about the F-35 than its two sister services, the Air Force and Marines. 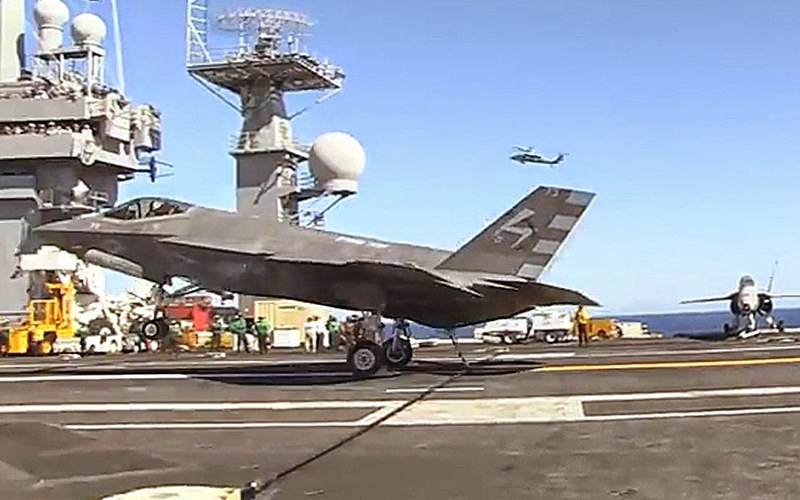 That seems to be changing now that the F-35C has successfully landed and taken off repeatedly from an aircraft carrier…. 2. “That’s the message Orlando Carvalho, new head of Lockheed Martin’s iconic aeronautics business wants to send the US Navy, the service most skeptical of the F-35." “I do not at this point believe that it is time to look for an exit ramp, if you will, for the Navy for the F-35C,” continued Greenert, who in the past has damned the Joint Strike Fighter with similar faint praise. 5. 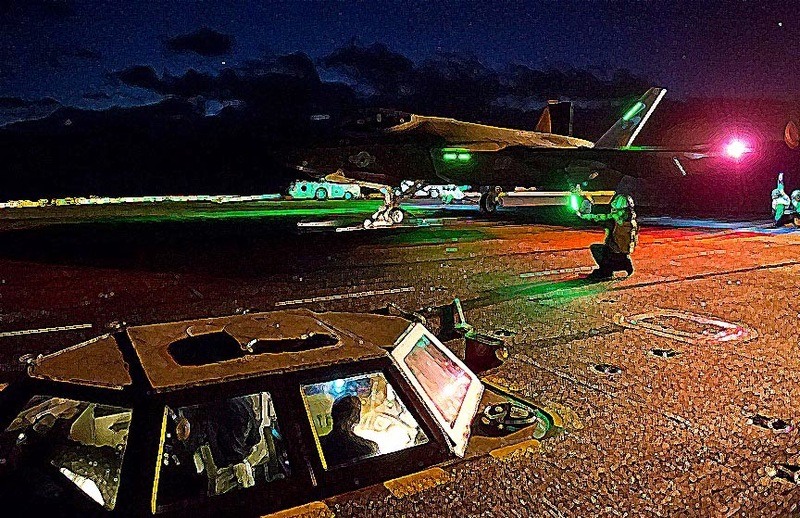 …Chief of Naval Operations Jonathan Greenert’s recent article in Proceedings announces in public what many have already known in private: The U.S. Navy is not wholly committed to the Lockheed Martin F-35 Joint Strike Fighter program. Admiral Greenert’s controversial — and, potentially, hugely consequential — article raises several interesting points, among which is the contention that advances in sensing capabilities and electronic and cyber warfare will increasingly degrade America’s stealth arsenal. This is not news. What is news, however, is the head of the U.S. Navy signaling a tepid commitment to the military’s largest acquisition program, not to mention the many allied and partner country participants. 6. A link to Admiral Greenert’s “Limits of Stealth” script in his now infamous “Payloads Over Platforms” article in USNI’s Proceedings as incoming CNO (2012), which, I note here, does not even mention the F-35. His shtick did not impress me at the time. Still doesn’t. But as we have seen in getting back to this point in time, his later comments appear to reflect a somewhat more ‘informed’ POV now. The 'CNO' is NOT 'the Navy' BTW. 7. A link to the ‘corrected final’ copy of the 2010 “The Final Report of the Quadrennial Defense Review Independent Panel”, A report that a word search of finds no mention of the “F-35C”, nor just the ‘F-35”, nor the words “Stealth” or “Low Observable”. Why it was even linked, I cannot tell. ...To relieve additional pressure on the already strained Navy shipbuilding budget, Congress should seriously consider funding the design and construction costs of the Navy’s new replacement ballistic missile submarine outside of Navy budget controls. These national assets are employed as part of critical strategic missions. Without additional resources, the defense industrial base and the nation’s conventional advantage at sea could be sacrificed to recapitalize the strategic force. Alternatively, Congress should consider whether this extremely expensive leg of the nuclear triad should be maintained in the face of decreasing stealth, shrinking nuclear stockpiles, and limited shipbuilding funds…. Note only two of the three ‘stealth’ references relate to low observable aircraft, and those stake out a claim similar to that which Admiral Greenert has since backed away from after he assumed the CNO responsibility. In any case, the Heritage Foundation report comes closest to representing the “Navy’s” coolness towards Low Observables in the form of one of the co-authors: a retired Navy Captain and ship driver. Not quite "The Navy' . 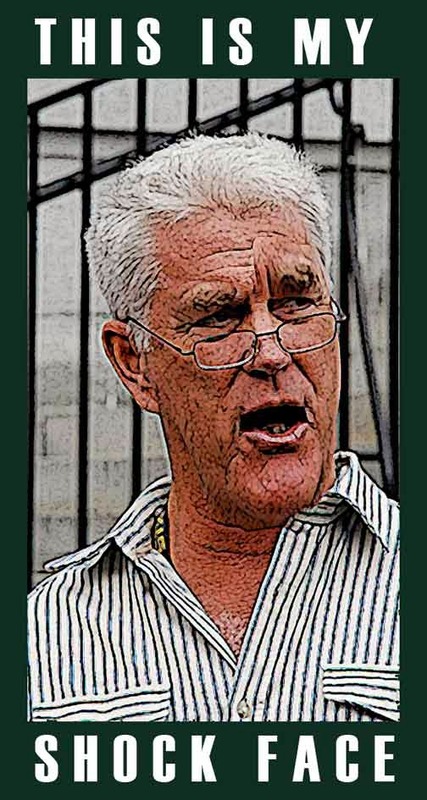 Strip away the journalistic overlay of 'what it all means' and there's no 'there' there. So much for the Navy being ‘cool’ towards the F-35C. Now if you want to talk about the F-18E/F/G ‘community’ (read ‘tribe’) being cool towards the F-35, well………..DUH! Just wait until the F-35 starts smacking the F-18 tribe around in training. It will be worse. Hat Tip: 'Raptor_Claw' at F-16.net. Today, the first two carrier landings by F-35Cs were accomplished. One more check box checked. The first trap (landing, catching the cross deck pendant, or 'wire') caught the 3rd (of 4) wires --exactly as it is preferred. Notice the main wheels are not yet touching the deck (you can see the stripe in the middle still under the left main tire). Here the wheels are just beginning to touch the deck but are not showing signs of weight on the wheels. It looks like the first curls of tire smoke are starting to come up. This screen cap is just (barely) after the previous one, A little more tire smoke, and the weight is not yet on the wheels very much. The tailhook is about even with the 2-Wire. Weight is coming on to the wheels now and it appears the hook is down on the deck as well. Notice the 2-Wire in the center where the hook went over/across. It appears the hook bottom may have hit the wire top, or at the most barely nicked the wire. I think it hit the top because of what we see in the next screen cap. There is a lot going on in this picture. The hook is about to engage the 3-Wire. The nose gear is still in the air and the 'mains' have run over the 3-Wire: you can see the wave in the pendant propagating outward. Now look back at the 2-Wire. It has very a slight displacement forward that has propagated outward (compare to previous pic) , but is laying flatter than I would expect if the hook had impacted it directly. I guess we might find out someday. A Good Day for the Program, the Navy, and the Taxpayer eh? 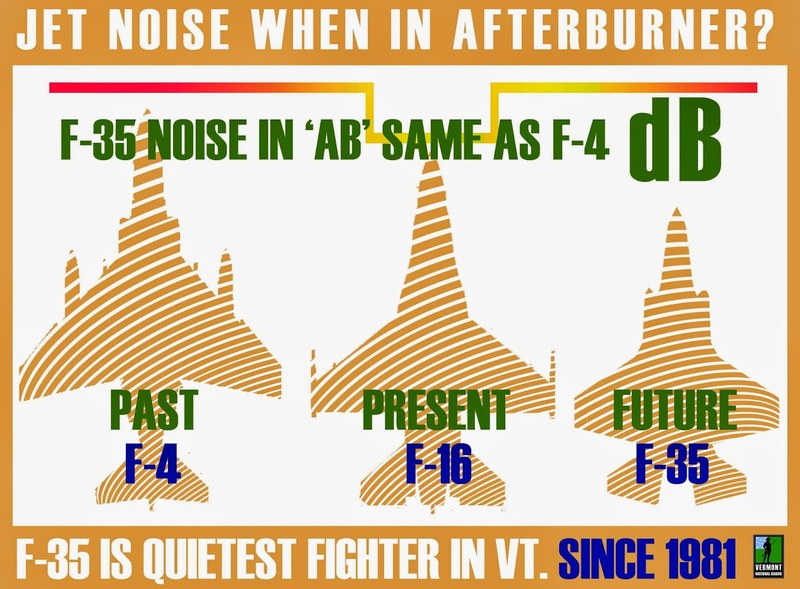 In fact, the F-35 will very often be quieter taking off than the F-16s it is replacing because afterburners will not be required for the F-35 under more weight, operational, and environmental (density altitudes) conditions than the F-16. 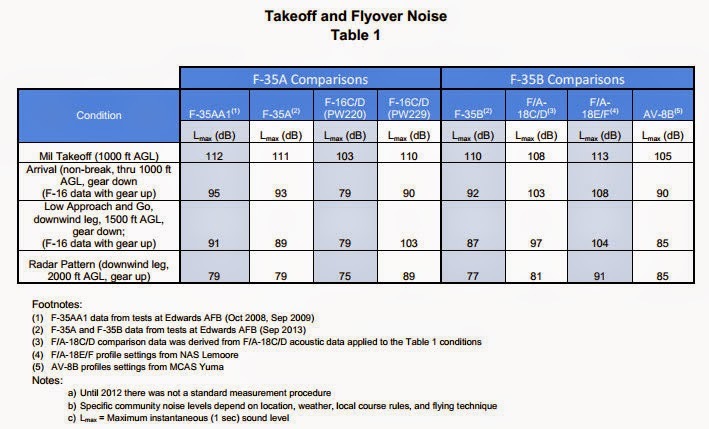 ...This “real noise data” should dispel rumors that the F-35 will be much louder than its predecessors. Part of the reason is that the F-35 is “very sleek in its outer mold line, without a lot of drag,” Bogdan said. Using afterburner, however, the F-35 is considerably noisier than its predecessors, as it generates 43,000 pounds of thrust. Its noise will be on a par with the old F-4 Phantom, Bogdan reported. 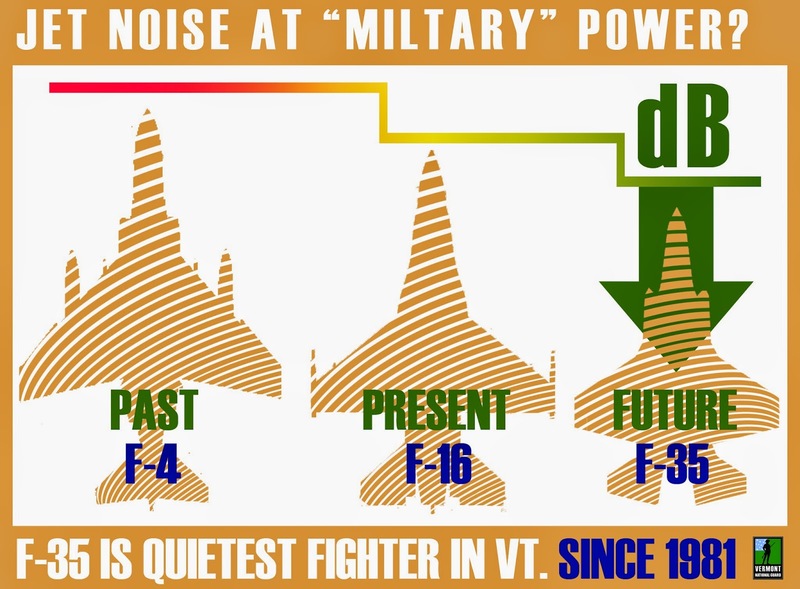 Although its character is different, the F-4 noise is deeper than that of the F-35, he said. The F-35 has a lot shorter takeoff roll than the Phantom, so it will get to higher altitude than the Phantom before getting to the end of the runway. I also see this phenomenon regularly at Carswell JRB compared to the JRB's F-16s and F-18s. 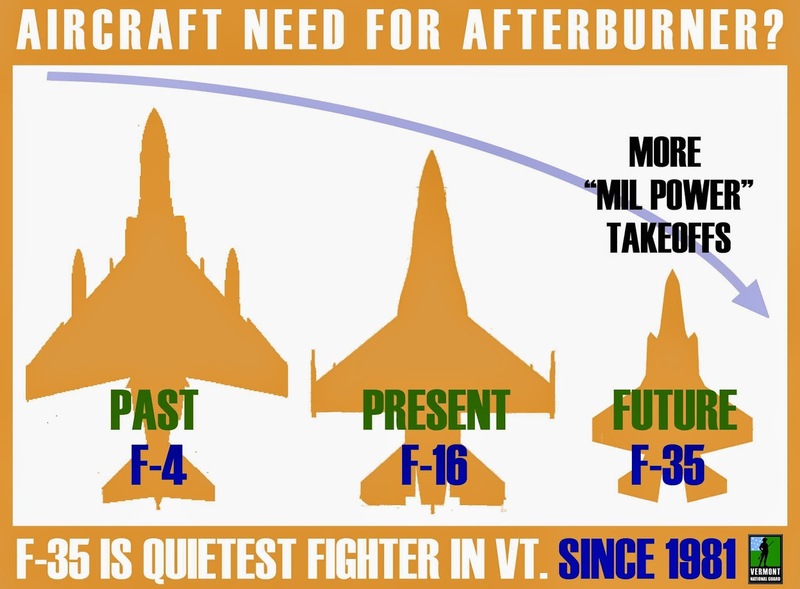 At Burlington's 335 ft altitude and 44°28′19″N latitude, the F-35 won't need afterburner as much as the aircraft that came before it. Overall, the residents of Winooski can expect to be more annoyed (noise times the number of airfield operations) by the airliners currently operating out of the Burlington VT airport. Just like 'now'. Also, because there is NO 'Divine Right to Stagnate' (but we won't get into that). If you were too lazy to look at the notes, the blue background data is 'old' data, the white background data is 'new' data. I suppose 'some' might think I'm being a little hard on what they see as good 'civic minded citizens'. If so, that 'some' obviously never really looked at the drivel the Stop the F-35 Vermont website and Facebook page proffer. 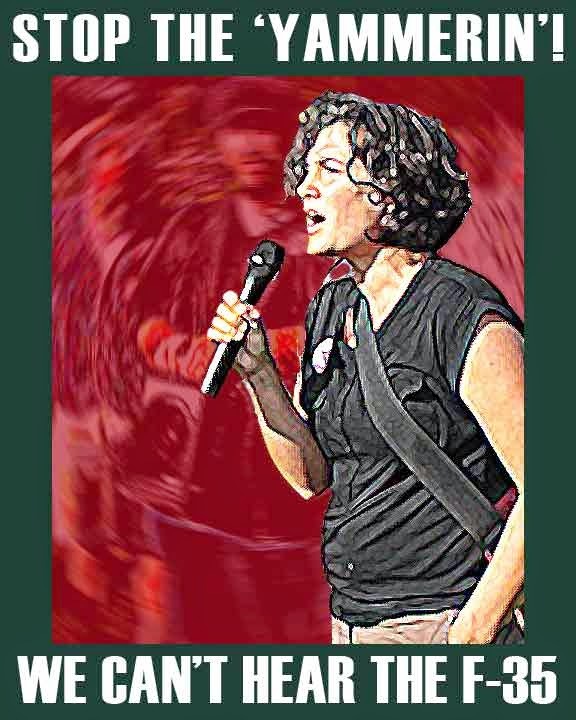 Socialists, Luddites, Aging Hippies, NIMBYers, and Opportunists --all on a bus to 'Nowheresville' man! AKA 'Rabble meets Rousers'.